Dosia McKay’s music has been featured on National Public Radio and in concerts in New York, Festival Gdynia Classica Nova in Poland, Beijing Modern Music Festival in China, Spain, the National Gallery of Art in Washington, D.C, the Knoxville Museum of Art, the Electro-Music Festival in Asheville, the Diana Wortham Theater in Asheville, and others. 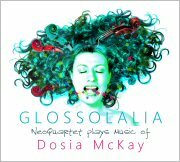 Of her latest album of music for string quartet entitled Glossolalia recorded by NeoQuartet and premiered at the Beijing Modern Music Festival in China in May 2015, the New York magazine I Care If You Listen has written: “McKay composed music which eloquently and expertly describes the human condition… long, luxurious melodies… an album that politely refuses to be pigeonholed… rarely is there an album of new music so expertly performed and packaged”, and the Polish magazine Trojmiasto remarked: “The music is ecstatic and trance-inducing, strongly influencing emotions of the listener, even one who is not musically educated”. Recent projects include Endless Immersion, an experimental album of music for a quadraphonic environment and a 3-D installation, featuring an ever-changing loop composed for synthesized voice and electro-acoustic soundscape, premiered at the Electro-Music Festival in Asheville, NC in May 2015, a new composition for Baroque lutenist Will Tocaben entitled “Parting”, recorded by an Argentine guitar virtuoso Sergio Puccini, to be released in the spring of 2015, a New York premiere of a string quartet entitled “Is Now Not Enough?”, an Asheville Ballet premiere of album “Lacrimosa”, a post-classical fusion of the Medieval, Renaissance, and electro-acoustic soundscape music, available on iTunes and Amazon, “Farewell Dream Garden” for soprano, flute, and string orchestra which won the second prize in the International “Music in the Garden” Composers’ Competition Wroclaw/Kraków 2010/2011, premiered in Poland by The Orpheus Orchestra, and “Unveiling”, a work for string orchestra premiered by the North/South Consonance in New York City. 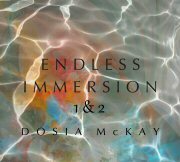 Dosia McKay was born and raised in Poland. At the age of nine she began her music studies at the Elementary School of Music in Wejherowo concentrating on classical guitar, flute, and piano, and continued her education at the Conservatory of Music in Gdansk majoring in flute performance under Ewa Pinno and Katarzyna Wittschenbach. 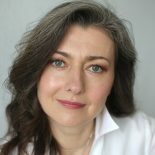 She has been a freelance artist concentrating on chamber, orchestral, big band, and studio music. Dosia McKay holds M.M. in Scoring for Film and Multimedia from New York University where she studied composition with Marc-Antonio Consoli, Ira Newborn, and Rich Shemaria, and B.M. in Composition from University of Tennessee where she studied with Kenneth A. Jacobs and James R. Carlson. She also participated in masterclasses with Steve Reich, Julia Wolfe, David Lang, Morton Subotnick, Pauline Oliveros, Meredith Monk, Michael Colgrass, Bright Sheng, Jacob ter Veldhuis, Steve Stucky, Mark Snow, Derek Bermel, and others. She is a member of the Society of Composers, the American Composers Forum, and ASCAP. Her music is published by Gavia Music. 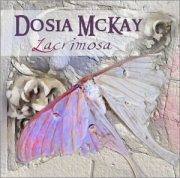 A Renaissance woman at heart, Dosia McKay is also a flutist, a visual artist, a poet, and an amateur cellist. She currently resides in Portland, Oregon and travels wherever music takes her. Please do not modify this biography without permission.